Internal and external laser scanning of this elaborate building, with subsequent ability to measure, mark up and navigate remotely. 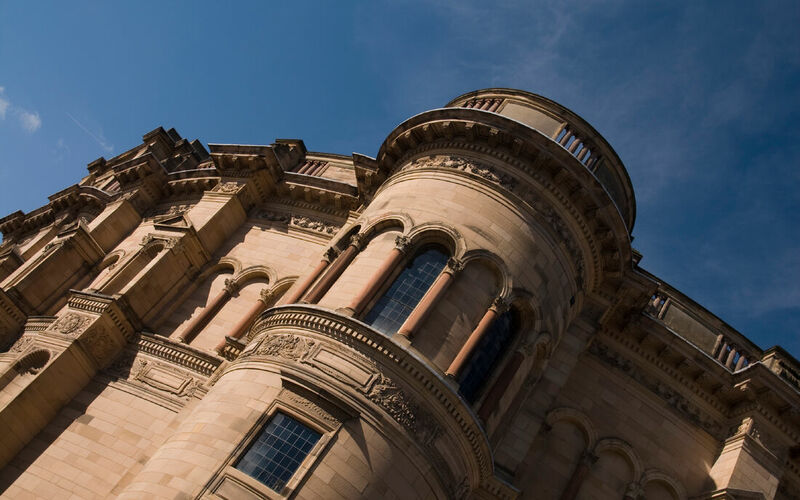 Located in Bristo Square, Edinburgh, McEwan Hall was presented to the University of Edinburgh by William McEwan, brewer and politician, in 1897. The building, designed by Sir Robert Rowand Anderson in a decorative Italian Renaissance style, took 23 years to fully complete. It was originally planned as part of the University’s new Medical School. 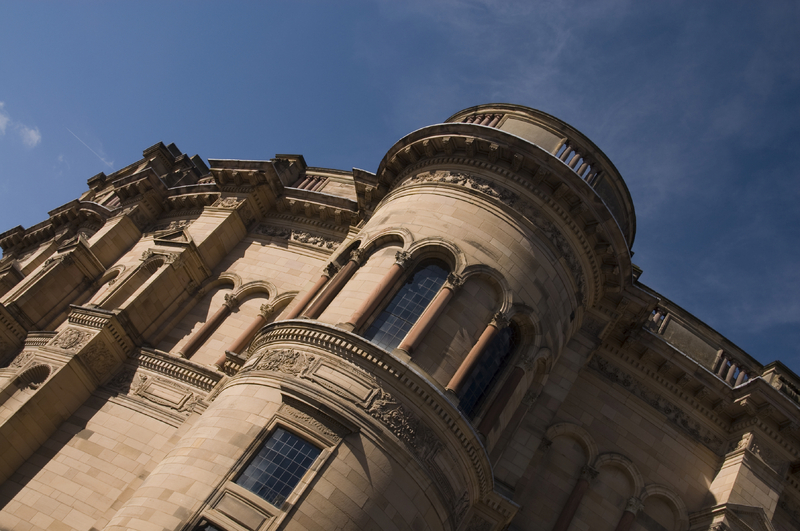 These days McEwan Hall is used by the University for Graduations, concerts, public lectures and examinations. When LDN Architects were appointed to develop proposals to dramatically enhance the capability of the hall to fulfil its role at the heart of university life, they commissioned Plowman Craven to undertake the relevant survey work required to put the plans in place. We deployed a specialist measured building survey team who spent three weeks on site to capture all the intricate details and 2D plans, sections, elevations and sectional elevations were produced. Individual stone joints were added to the elevations to provide LDN Architects with complete and accurate drawings. Plans were measured and drawn to 1:50 scale accuracy of the basement, ground, first, second and third floors, including all mezzanines. All items were delivered within seven weeks of commencement and enabled plans for the refurbishment project to get underway. The delivered work included all main structural and architectural details including walls, columns, windows, doors, stairs, partitions, permanent fittings and main service intakes. Fire equipment, lights, radiators, switches and sockets were also included along with all roof details including drainage features, walkways, ridge lines, windows and skylights. The entire building was laser scanned both internally and externally to provide a TruView™ of the site - a combination of point cloud data and high definition photography which allowed the measurement, mark up and navigation of the site over the web.